We’ve been working with eBay for nearly 18 years. To sum up our work together in a single case study would require more than a single page. Over the years our working relationship with eBay has encompassed building and managing the platform for celebrity charity auctions, to running fundraising and promotional campaigns such as the campaign noted below. Are you an Adventurer? Builder? Techie? Shopping enthusiast? 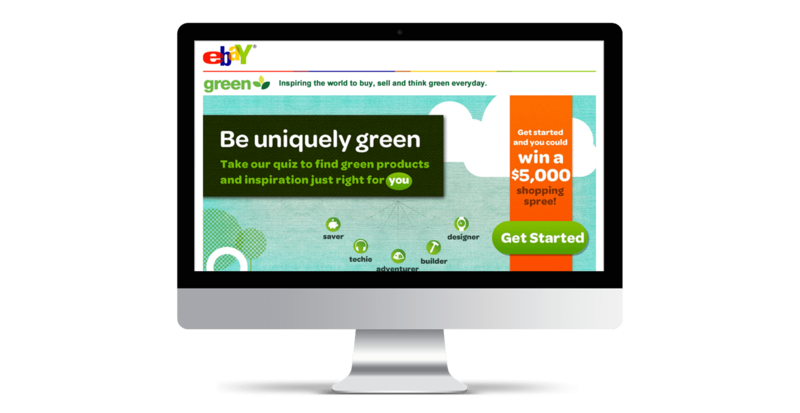 The eBay Green Team encouraged consumers to be uniquely green for Earth Day. 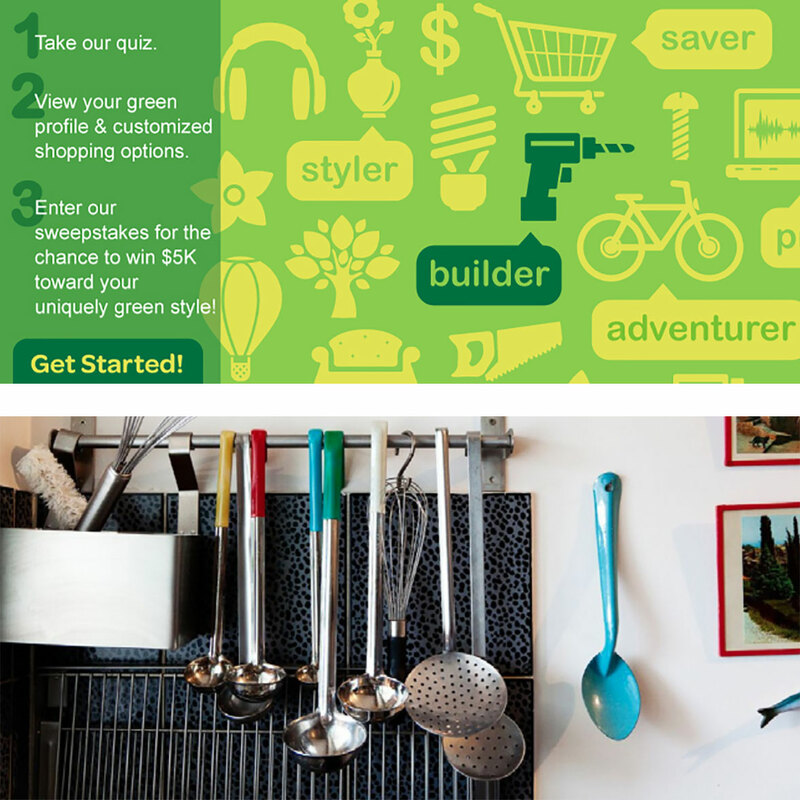 We designed and built a curated experience with an interactive quiz where over 215,000 consumers discovered their green profile. They were served up a personalized board based on the profile that included eco-friendly items on eBay and information about eBay initiatives. After taking the quiz, 90,000 users entered the sweepstakes for a chance to win a shopping spree on the site. 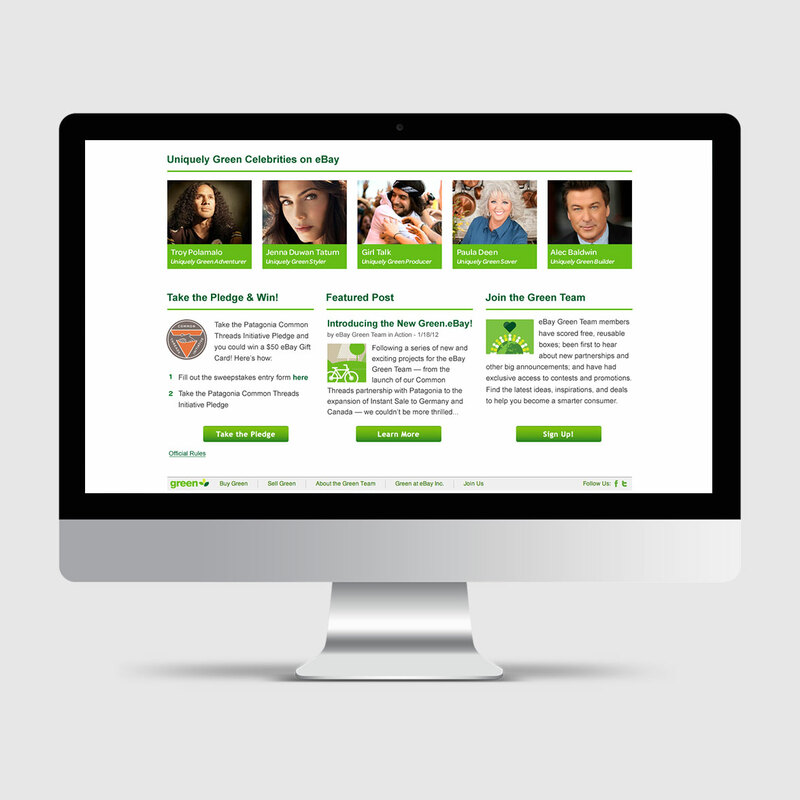 The campaign recruited 40,000 new Green Team members and increased awareness of green commerce on eBay.